Life's not so good for 20 people who have just felt the brunt of a commercial stunt gone wrong. 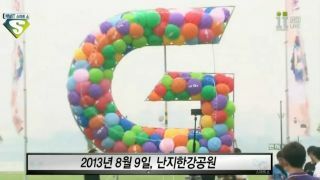 LG had an idea to promote the LG G2 in Seoul - release helium balloons with smartphone vouchers attached, hoping people would would wait for them to come down before claiming their prize. But LG also doesn't understand human nature, with many participants turning up with knives, spears and BB guns. The whole thing ballooned out of control with 20 unfortunates getting injured as a result. No surprise that LG's cancelled a bunch of other commercial events for the phone.